This is the second article in a series of three based on findings included in SCORR Marketing’s “2013 Marketing Trends in Drug Development Services.” Download the full report here. Marketing teams in this industry are experiencing more substantial demands than ever. As new technologies create new opportunities in marketing, it follows that the range of capabilities a company expects of its marketing department is broadening. In the first article of this series, we reviewed how industry experience is imperative for marketing teams in this industry. 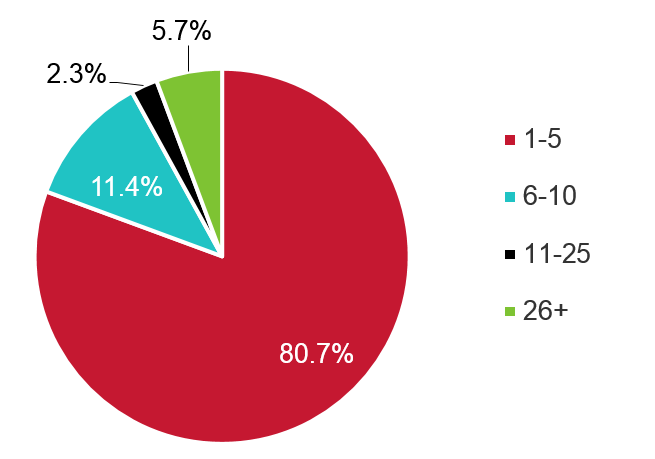 Our survey showed that nearly one-third of companies in this industry rely on a mixed internal/outsourced marketing model, while 8.1 percent outsource their entire marketing function. We also observed that outsourcing the marketing function or a mix thereof looks to be the trend in the industry. When a company finds that it doesn’t have the staff or the bandwidth to round out a holistic marketing program, outsourcing is the answer. But there is no universal model as to what or how much to outsource — only variances in brand control, efficacy and cost/ROI as a result of outsourcing. Finding the right balance can be difficult. For simplicity’s sake, we asked responders which one of three marketing models their company best identified with: in-house, mixed or outsourced. The lines between them do blur; some companies that consider their marketing function to be completely in-house still work with external graphic designers, etc. Therefore, it might be best to consider where your marketing strategy originates to truly gauge whether your marketing is being done internally, externally or somewhere in between. How big is your internal marketing team? From strategic development, to design, to production coordination, having your entire marketing arm operate in-house can be a big investment, but it also keeps the team close-at-hand and centralized. This centralization of marketing activities can help ensure a brand is applied consistently. In theory, this model should also facilitate faster and more productive work as everyone should be on the same page. But, if a company isn’t big enough to support a well-rounded team, that team may fall short in terms of capabilities, which is why a mixed model is so prevalent in our industry. If a company employs a mixed model, it’s important that it engages with its partners on a strategic level and vice versa. When teams are misaligned, marketing can end up costing more than it needs to. For many, a mixed model poses the right balance of cost and capability, but it takes vigilance on both sides to make it practical. Not to mention, there is some ramp-up time when partnering with a team for the first time; so, it’s critical to build relationships with an eye toward longevity. Fully outsourcing the marketing function can be a daunting proposition — it means putting a brand’s identity in the hands of an outside party. However, there are numerous advantages to this model if a company can find the right partner. A full-service marketing partner can help a company take better advantage of new and emerging marketing domains. For instance, if a full-service partner has teams dedicated to digital development, social media, media planning and so on, you’ll have the help of people dedicated to what they do. The important thing here is to vet marketing partners to make sure they’ll be a long-term fit for your company. A full-service marketing partner should commit to being up to speed on the inner workings of your brand, your market and how to exploit both to best position your offerings. 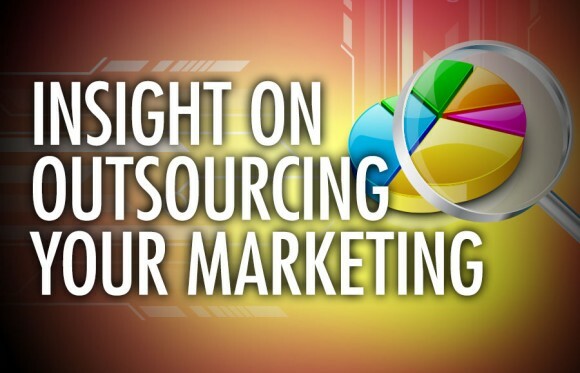 What Services Are Being Outsourced Most? In our “2013 Marketing Trends in Drug Development Services” survey, we asked what services companies outsource in particular. What services do you outsource on a consistent basis? Almost half of companies that outsource a marketing function contract out design. Considering the skill sets, equipment and software involved with design, it’s apparent why it’s so frequently outsourced. An added benefit is that designers will work more efficiently over time as they become familiar with your brand and will ensure your brand is being applied correctly and consistently. Much like graphic design, Web development necessitates a fairly specialized level of knowledge. Almost a quarter of companies that look to external marketing partners outsource Web development. We’ve observed that this is true with many digital development projects: videos, podcasts, interactive trade show displays, etc. are all examples of projects that are much more time- and cost-effective to outsource. Trade show marketing is an area that companies are finding a great deal of value in outsourcing. If you’re exhibiting at a trade show, it’s not enough to just show up anymore. Trade show exhibition marks a significant investment for any company, and it’s an investment that requires a clear strategy to make it sensible. Many companies find it hard to justify the cost of registration, booth design, travel, etc. when compared to the leads and awareness they generate at shows. Trade show planning goes beyond booth design and handouts; well in advance, you must address multiple other questions: How will you get people to your booth? How do you best equip your sales team to create meaningful interactions? How will you follow up with leads? One great advantage of partnering with a marketing provider that has experience in this industry is the relationships it brings to the table. This is especially valuable for media placement, because knowing the right people at media outlets can get you a foot in the door for editorial opportunities and special run rates. That said, only about one in 10 companies that currently outsource marketing functions will outsource media placement. However, this is another function we’re seeing outsourced more and more with the rise of new digital and social media avenues. Public relations — especially for smaller companies in our industry — often gets pushed into a corner where it’s relegated only for news releases. In our survey, we found that nearly half of companies lacked a crisis communications plan. In this industry, a crisis communications plan should be a requisite for any company given the experimental and often high-stakes nature of the work. But there’s more opportunity in public relations than one might realize. Public relations can help a company leverage other marketing areas. For example, there are benefits to understanding where to drop press releases for maximum coverage or geographic targeting, and public relations content can interrelate with social media, SEO, website content, etc. to maximize visibility. A few closing thoughts on making outsourcing work: If you choose to outsource any of your marketing activities, it’s vital that you work with your partner(s) to establish clear boundaries between what all parties involved are handling. This curbs duplicative work and any sort of opposition. Everyone is working toward a common goal, and that goal needs to be clearly defined so that everyone involved can work toward it collaboratively. You should also ensure that you have ways to keep your partner accountable, and it should understand how you prefer it demonstrates that accountability. Whether it’s through reporting, budgeting, benchmarking or a mix of all three, you should have a predefined way for your marketing team(s), both internal and external, to demonstrate value.